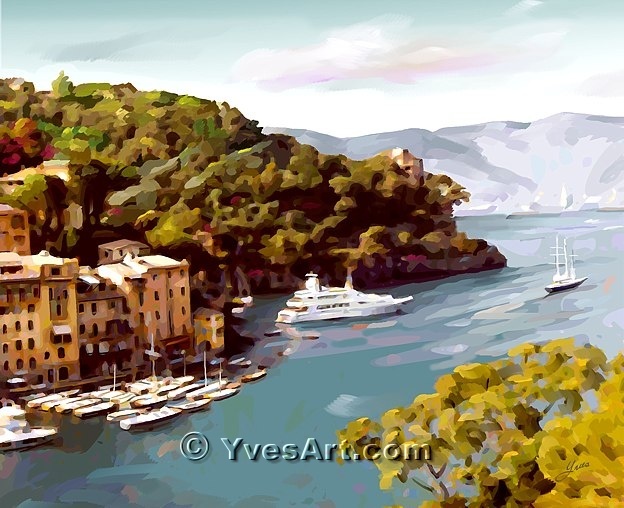 Painting, Porto Fino by Yves Lanthier. magnificent village on the Riviera. Large Giclée on canvas available up to 50" wide.